It’s probably been a while since you actually thought about the electrical system in your home, right? After all, it seems pretty simple, doesn’t it? You flip a switch and your lights come on. But, did you know that electrical problems are one of the leading causes of house fires? Home electrical inspections are much more important than you might think! And, Blue Collar Electricians are just the electricians to do it. Our residential electrical inspections are a great way to make sure that your electrical system is running in top condition. We want to make sure that your electrical system is up to safety standards and operating safely for your home. Our residential inspections will provide a check of your electrical system. We will check your electrical panel to see what condition it is in and make sure that it is right for your home. We will also make sure that it is not one of the panels that have recently been recalled and that is in need of replacement. If it is one of these panels, we will work with you to get it replaced with a safer model. We will also inspect your circuits to make sure that they aren’t overloaded and check to make sure that your system is properly grounded. All of these inspection points are important to check regularly – that’s why we provide these residential electrical inspections. Once we finish conducting a thorough inspection, we will alert you of any problems that we have encountered including recalled electrical panels. Then, we will let you know about the solution to those problems and work with you to get them fixed. Leaving an electrical problem unchecked can be dangerous, so we want to get your electrical system problem fixed as soon as possible. 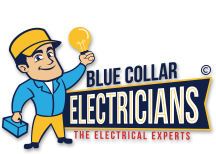 Luckily, Blue Collar Electricians is equipped to fix any problem we may find. And, if we find any problems, we’re offering $50 off any electrical repair and 10% off an electrical panel upgrade with our coupons. Are you ready to schedule your residential electrical inspection? If you are, we’re ready for you. Give us a call today!